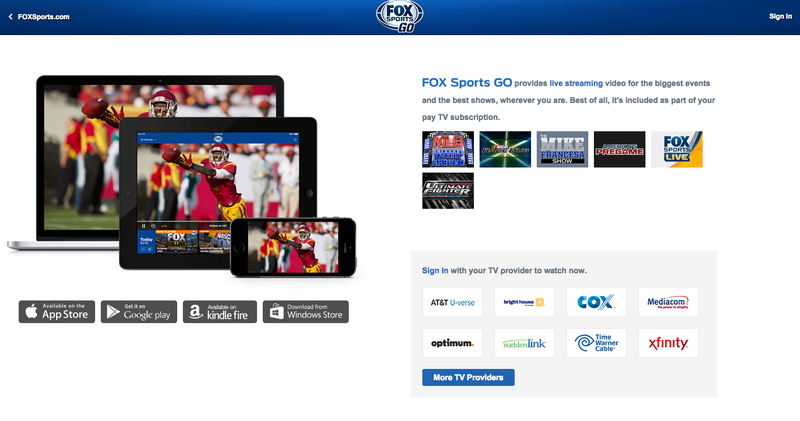 One of the biggest secrets at FOX Sports is their free and seldom-promoted FOX Sports GO app, not to be confused with their FOX Soccer 2GO service, which is a different streaming product. With FOX Sports GO, you can watch your favorite soccer games from FOX Sports 1 and FOX Sports 2 streamed for free to your computer, tablet or smartphone. The only two catches are (1) you have to use an authenticated login from one of the participating TV providers (to prove that you have a cable or satellite TV subscription) and (2) the streams are live and not available on demand. AT&T UVerse, Bright House, Cox, Comcast xFinity, Mediacom, Optimum, SuddenLink, Time Warner and several other TV providers (click the “More TV Providers” link from this page). FOX Sports GO streams live coverage of FOX Sports 1, FOX Sports 2 and — sometimes — FOX and FOX Deportes. For the latest TV schedules, go here. 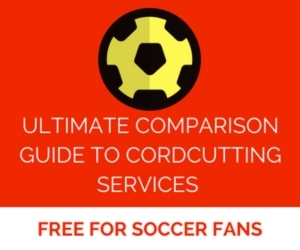 The app, which can be downloaded here, allows viewers to stream content from FOX Sports 1, FOX Sports 2, and FOX Deportes channels. While you can view this regular television content on your laptop, phone, or tablet, there is currently no on-demand content available at the moment. 1. Download the app (from the links above) to whatever device you wish to watch soccer on. 2. After the download is complete, open the app and scroll through the day’s (or choose another date at the top of the screen to view upcoming shows) programming. Select the match or program that you wish to watch by tapping the screen. Note that with the desktop/laptop version of FOX Sports GO, you have to use an authenticated login first. 3. Once you select the program, the app will force you to sign in using your television provider information. Select the provider in which you have and sign in using the appropriate email and password combination. As you can see from the screenshot below, the quality of the video stream is very good. The reliability has been excellent with no issues encountered. 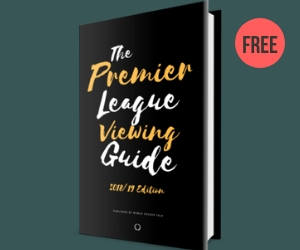 While it’s limited in the options it provides, it’s a perfect way to watch the UEFA Champions League or Europa League from the comfort of your own desk or mobile device. Plus, one additional advantage is that you won’t have to sit through commercials. Instead you’ll see a “Commercial break in progress” message on-screen. The first few times I used FOX Sports GO, it worked fine. Then at some point, after logging in with my Time Warner credentials, it started just taking me back to the main “Sign In with your TV provider to watch now” screen. When I click on Time Warner again, it recognizes that I have already logged in and just refreshes the screen again and again. Really frustrating. Anyone else having this issue/have any suggestions? Yeah it does this to me too sometimes. But lately it hasn’t happen to me. But it does it from time to time also happens sometime with the nbc live extra app. You need a cable subscription so technically, it ain’t free. I went to stream the Roma/Bayern game and it said that “due to league restrictions, the game is not available in your area.” Are you kidding me?! Sorry about that. Looks like a late change. It’s been moved to FOX Soccer 2GO and DirecTV. Also, Comcast/Xfinity only has Fox Sports 1 but not 2. If you subscribe to FOX Sports 2 as part of your Comcast xFinity package, you should be able to access FOX Sports 2 as well via FOX Sports GO (as I do). No Fox Sports 2 on Comcast. It’s on a regional basis. My Comcast carries it, but not all Comcasts do. I seem to only get the world series in deportes. I was getting in English as well but the series is only in Spanish. Just wierd. The streaming on this is awful. I’m at work with a high speed internet connection and the buffering is awful. Completely frustrating. 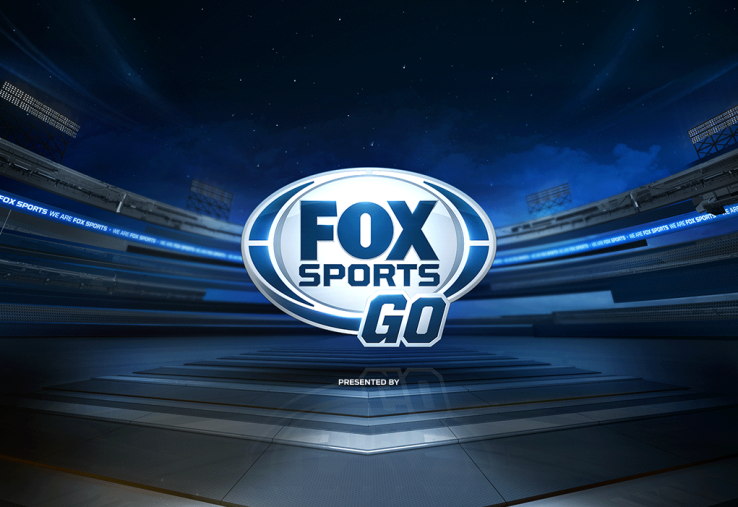 FOX Sports Go is free as long as you subscribe to FOX Sports 1 and or 2 via your cable/satellite company. It does not seem to work anymore. With windows 10 you cannot even download the app. All you see after having entered your cable user name and password, is a bunch of screens downloading……forever! How could you watch fox sports on PC using your cable subscription in 2016?? Thanks for your help! How about we all stop watching sports until they make it free for everyone. If there are no fans then there are no games. Can I watch it on my television set with only a WiFi connection? I’ve downloaded Fox Sports Go, successfully signed in with my Xfinity credentials, but all I get is a white screen. There is bar at the top of the screen with the Fox Sports GO logo in the center, a menu icon to the left, and a search bar to the right, but everything else is white. I’ve opened the menu, and set my preferences, but there are no channels available.